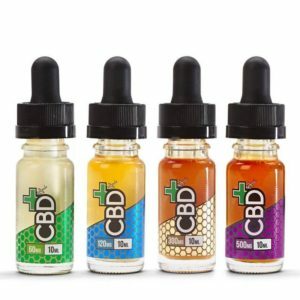 This CBDfx vape additives come in 60mg, 120mg, 300mg and 500mg strength bottles. Their CBD is extracted from top quality, organically grown, EU sourced hemp using the CO2 method. This proprietary mixture of VG/PG can be vaped, or taken orally. Their additive carries the leafy flavor profile of the hemp plant and pairs well with dessert or fruit-flavored vape juices. CBDfx’s vape additive is easy to mix with your favorite e-juice using the included dropper. With their vape additive, you get the advantage of using your favorite gear while gaining the benefits of CBD. CBDfx’s additive is cGMP certified and US made.